A good education helps create a well-rounded individual empowered to shine in whatever career they choose. Moreover, one’s starting salary depends a lot on the rank and industry perception of one’s educational institution! If a person has a degree from one of the top universities, their job prospects will be better and brighter. Are you among those who think that planning higher education is not immediately necessary for your toddler? If so, look at your child, once again. Look at the way it toddles around the room; do you want them to stagger throughout their career as well? Top colleges and universities in India are quite expensive these days (unless they are fully funded Government institutions). Moreover, in this age of globalization, parents are sending their wards to foreign universities for higher studies expecting a brighter career. In comparison to the Indian counterpart, the cost of a foreign degree is even higher. Add to it the ever-increasing inflation; you will realize that it has become all the more difficult for middle-class parents to afford higher education for their children. In such a scenario, you are left with only two solutions- either take an education loan and get into a debt trap for at least 6 to 7 years, or accumulate slowly and systematically to build a sizeable corpus for your child’s higher education. Why is a sizeable kitty required for your child’s education? In another 20 years from now, the present cost of education is likely to increase manifolds. Therefore, unless you start investing from now, it will be difficult for you to arrange the huge amount of money you will need to send your child to one of the top colleges in the country when they grow up. What is the right time to start saving for child’s higher eeducation? Sometimes, it gets too late when you realize that your child has to compromise on their dream of going to a foreign university for higher studies, just because you were too shortsighted to opt for financial planning seriously when your child was still young. There is no right time to start financial planning. The earlier you start the higher will be the amount of your contribution to your savings. You will get longer time to accumulate your money. So it is ideal to start planning for your child’s education, right after his/her birth. How to calculate the fund required for your child’s higher education? When your child is just a little baby, you are no way in a position to know which stream of education your child will pursue when it grows up. So, the best option is to save as much as possible. If you build a big education corpus, it will be easier for you to fund your child’s education, no matter how much expensive a course they choose. You can use the balance amount in your kitty for your child’s wedding or any other important event in their life. 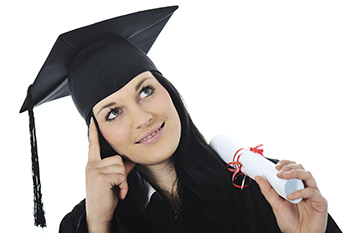 If you are still not sure how much you should save, take help of an online education planner. These planners are online tool s that are available dime a dozen on the web. Just browse through the website of one of the top life insurance providers and you will be able to use such planners to calculate the amount of money you will need to save in order to fulfil your child’s dream. Using such online education planners is easy. All you have to do is just provide your child’s current age, your child’s age when you will need the money, and the preferred stream of education, etc. Based on the information provided, the planner will estimate the amount you will need to have in your corpus and the amount you will need to save for that. What is the best way to do financial planning for your child’s education? There are two main components of a successful financial planning- savings and investment. Saving refers to putting aside smaller amounts of money to make a lump sum. Investment is putting your money into capital markets for growing it. So, both savings and investments are necessary for a successful financial plan, which will minimize risks and help your fund grow in the long run. Now that you know how important saving and investing is for growing money, think of this scenario. You are investing in mutual fund or in any other investment instrument of your choice. But, an unexpected incident happens- an accident that leaves you temporarily disabled. Who is going to continue with the saving for your child’s future if you are the only earning member of the family? If you do not want such an unfortunate incident to happen to your family, consider investing in a child education plan offered by a reputed insurance Company. How does a child insurance plan come to your rescue? A child plan is a type of life insurance plan with some added features. A child education plan promises to take care of all the education expenses of your child. You pay your premiums regularly throughout the policy tenure and at the end of the policy term; the insurer will pay you a lump sum for the higher education of your child. If you unfortunately die before the completion of the policy term, the insurer will pay an additional lump sum amount as the death benefit to your child. Most Child plans come with the inbuilt waiver of premium rider which takes the burden of paying future premiums off your family in case of your untimely death or permanent disability caused by an accident. How to Choose the Best Education Plan for Your Child? Child education plan offered by different insurance companies provide different benefits. While some child plans offer the maturity benefit in instalments over a period of 4 years, some companies pay out the maturity benefit in lump sum at the end of the policy. The periodic payout is offered either during the last three years of the policy or after the policy term is over in yearly instalments. If you have a high risk appetite, you can invest in unit linked child education plans as they can provide you a huge return if the market goes well. They are risky but the policies allow you to allocate your assets among diversified fund options. By cleverly allocating your asset among funds with varied risk profiles, you will have higher chances of better return with lower risk involved. Step 1: Use an online education-planning tool to calculate the amount you need by the time your child reaches the college going age. Also, get the estimated amount you need to invest every month. Step 2: Find a good online insurance aggregator and let it give you the available options based on the sum assured amount you want. Aggregators will also allow you to compare the various available policies without pressurizing you to buy a particular policy unlike a traditional insurance agent. Step 3: Shortlist 4 to 5 child education plans based on the comparison made with the help of the online aggregator. Step 4: Visit the homepage of the companies that offer the shortlisted child plan and download the policy brochures. Step 5: Read the terms and conditions of the policy thoroughly. Step 6: Check the claim settlement ratio of each shortlisted company as well (the higher the better). Step 7: Based on your research, choose the company that best suits your needs. If you are saving for the future of your child, investing in a child education plan would be the best option. It not only allows you to bear the cost of your child’s higher education, but also takes care of the various financial needs at different stages in his/her life by paying the maturity benefit in instalments over a period of four to five years. Moreover, it offers life coverage as well. So, if you want a brighter future for your child, start investing as early as possible in a good Child Insurance Plan from a reputed and trusted insurance company. The author Tarun Mathur is Director of PolicyBazaar.